When it comes to dogs that shed, many people want to know just why certain breeds shed. The process of shedding the coat for a dog is the same as the way that humans lose their hair as well. The loss of fur in the dogs coat allows for a new coat to come in and keep a healthy overall coat. As old fur is lost, new fur comes in and keeps the coat looking shiny. The shedding process is completely natural and it is present in ALL dog breeds that have fur. The only dog breeds that are completely non-shedding are those that have no coat at all, or the hairless dogs. The amount of shedding that a dog breed does however varies and it can even differ from individual to individual depending on a number of factors. For example German Shepherds are relatively heavy shedders, but a German shepherd that is fed a healthy diet and does not have any evidence of illness or disease will shed much less than a German shepherd that is being fed a poor diet that also has mange. Healthy shedding is the natural process of a dog losing its coat so that a new healthier coat can come in. For some breeds of dog that are considered to be “seasonal” shedders the majority of shedding is seen in spring and winter. As the seasons change seasonal shedders experience changes in temperature and their body’s respond by growing in a new coat that is more protective for the upcoming season. Not all dogs are seasonal shedders however, and they can shed year round! Sometimes dog breeds that are known for being seasonal shedders in some parts of the world may not experience the same shedding patterns when living as a domestic house dog. The reason for this is that as a domesticated dog spends increasing amounts of time indoors, they are less exposed to extreme changes in temperature that prompts the coat to shed. Some dogs may also appear to shed more because of the length of their fur, for many breeds that have exceptionally long hairs in their coat, it may seem that they shed much more than a shorter haired dog that has a similar shedding schedule. There are a number of reasons that dogs can experience unhealthy shedding and it is important as a dog owner to be able to recognize signs of unhealthy shedding. Dogs that suffer from mange are particularly notable for unhealthy shedding. Mange is a disease that can be caught by a wide range of mammals, it is caused by tiny microscopic mites that irritate the animal and cause itching, sores and hair loss. In some cases of mange hair loss is extreme. Mange is particularly noticeable in dogs as it tends to leave patches of missing hair rather than all over shedding. A dog with mange will often appear to have spots of missing hair or areas with no hair at all that have evidence of red, itchy skin that can be spotted with sores. As with humans, when dogs do not have adequate nutrition in their diet they will begin to show physical signs of malnutrition. These signs can often include excessive shedding as well as itching. There are a number of reasons for poor nutrition, these can include: not feeding a dog enough food, feeding an extremely poor quality food or food not intended for canine consumption, food intolerance or a food allergy. All of these things can result in a dog that sheds hair excessively. Shedding from these factors generally appears to occur all over the dog. Dogs can also experience a number of other skin conditions that can lead to shedding or a loss of hair. Many times skin conditions such as “hot spots” result not only in a loss of hair in the affected area but also in the appearance of a rash or sore that may be either open or closed. Shedding in the case of skin conditions is almost always accompanied by visual evidence of irritation on the skin and hair loss will usually not be all over unless the entire body is affected. What Are Non Shedding Dogs? When people talk about non-shedding dogs, they are often people who have little understanding of dog breeds in general. As mentioned above, the only dog that does not shed is a dog that has no hair – think of this in the same terms as people. The only human being that does not shed hair is the human being without any hair at all. So there are actually two groups of dogs being referred to when individuals use the word “non-shedding” to refer to dogs. There are those dogs that are honestly non-shedding because they are hairless breeds and there are those dogs that are considered to be non-shedding dogs although they do shed, they only shed lightly. What Are Some Examples of Non Shedding Dogs? There are only a handful of truly hairless dog breeds, these include the American hairless terrier, the Chinese crested (hairless,) the hairless Khala, the Peruvian Inca Orchid and the Xoloitzcuintle. The American hairless terrier is similar in appearance to the rat terrier. This strong dog is unique in its complete lack of fur or hair and is quite often recognized by the pink with black spotted skin; however, American hairless terriers can also have pink with grey, golden or red spots as well. The ears of this terrier stand tall and the tail is long and thin. The American hairless terrier can grow anywhere from 7 to 16 inches tall and weigh in at anywhere from 5 to 16 pounds. The Chinese crested dog is what most people think of when they hear mention of the term “hairless dog breed.” This small breed is recognized for having no fur at all but they generally do have a plump if hair on the top of the head and on the tops of the ears, on its tail and on its feet. Although these dogs are the most recognized of hairless breeds they are still a relatively rare breed of dog. In general the Chinese crested dog grows to around 12 inches tall and weighs in at less than 10 pounds. The hairless khala is a sight hound that is not as well known as the Chinese crested hairless dog. The majority of fully grown khala’s are dark grey in color. 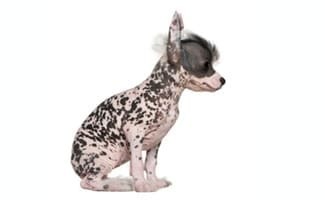 These dogs are recognized for appearing to look similar to the Chinese crested; however, they have a shorter Mohawk type plume of hair at the top of their head in addition to shorter hairs that may or may not appear on the face. The hairless khala can be considered in one of two categories: medium or large. The medium khala measures between 14 and 17 inches tall and the large measures in at between 17 and 20 inches tall. The medium khala weighs in between 15 and 30 pounds and the large khala weighs in between 18 and 30 pounds. The Peruvian Inca orchid is another lesser known of the hairless dog breeds. These dogs tend to have overly sensitive eyes which cause the dog to squint in the sunlight. Unlike the Chinese crested and the hairless khala, the Peruvian Inca orchid does not always have hair on the top of the head or on the tips of the ears but it can. The skin of this particular hairless breed is soft and supple and can be any variety of colors including solid colors or mottled colors. The Peruvian Inca orchid tends to grow to around 20 to 26 inches high and weighs in at between 26 and 50 pounds. The Xoloitzcuintle is better known as the Mexican hairless dog and is similar in appearance to the American hairless. These dogs come in three different sizes much like poodles: the toy, the miniature and the standard. These hairless dogs may or may not show a tuft of hair at the top of the head and on the tip of the tail. The skin of the Xoloitzcuintle can come in many colors including slate, black, grey, brindle, solid, spotted, fawn and red. Uniquely the Xoloitzcuintle can and does often change color over time as the dog becomes older. The toy Xoloitzcuintle should measure in between 9 and 14 inches tall and weigh in at around 5 to 15 pounds. The miniature Xoloitzcuintle should measure in between 15 to 20 inches tall and weigh in at around 15 to 30 pounds. The standard Xoloitzcuintle should measure in between 20 to 30 inches tall and weigh in at around 25 to 40 pounds. If you are considering bringing one of these non-shedding dogs in to your home there are a number of things that you should consider. It is crucial to recognize the unique needs of hairless dogs, for example the easily sunburn when left outside for any period of time and require sun-block. Conversely, when these dogs are left outside in the cold they require a sweater to maintain their body heat. These small dogs also tend to have inherent health problems with skin conditions in addition to teeth conditions so it is important to pay particular attention to any skin rashes and to regularly clean the dog’s teeth. What Are Some Examples of Low Shedding Dogs? 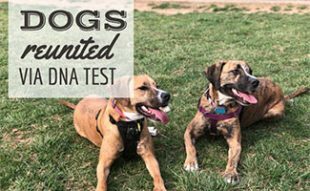 Aside from the truly hairless breeds of dogs that are the only non-shedding dogs out there, there are also a number of dog breeds that are said to be significantly less allergenic than other breeds. Some of the lighter shedding dogs include: the poodle, the Labradoodle, the Basenji, the Bedlington terrier, the Portuguese water dog, the Scottish terrier, the soft coated wheaten terrier and the Yorkshire terrier. The poodle comes in three varieties, the toy, the miniature and the standard; all three of these varieties are considered to be light shedders. The short curly or corded coat means that this dog sheds much less than other longer coated breeds. The poodle can come in a variety of colors including, white, brown, grey and black. 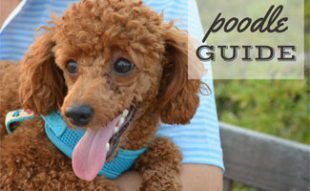 The toy poodle can grow up to 10 inches tall and weighs in between 6 to 9 pounds. The miniature poodle can grow up to 11 to 15 inches tall and weigh in at between 15 to 17 pounds. The standard poodle can grow up to 15 inches or taller and weigh in at between 45 and 70 pounds! The Labradoodle is considered to be a “designer breed” dog, or a dog that was created with a specific trait in mind – hypoallergenic fur. While many people consider the Labradoodle to be great for families that have trouble with allergies, this dog is not a non-shedding breed and it can in fact cause allergic reactions in some people. Labradoodles are classified depending upon their breeding and how much of the dog is Labrador and how much is Poodle. Due to the differences in Labradoodle breeding height and weight can vary from dog to dog as can coloration. 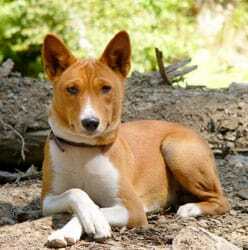 The Basenji is also referred to as the “Congo” dog. This smooth coated athletic dog has small erect ears and has a tail that curls up and over to one side. The Basenji coat is short and fine and comes in a variety of colors including red, black, copper, tricolor and chestnut red. Basenjis are known for the fact that they do not bark, rather they yodel. The Basenji tends to grow to between 15 and 17 inches tall and can weigh in between 20 to 26 pounds. The Bedlington terrier is known for its unique shape in that it more resembles a lamb than it does a dog. The coat of the Bedlington terrier is known for being a thick double coat that has both soft and hard hair. The Bedlington’s coat can be liver and tan, blue and tan, sandy and tan, sandy, liver or blue. The Bedlington generally grows to between 16 and 17 inches tall and weighs in at between 18 and 23 pounds. The Portuguese water dog is a medium sized dog that is known for having webbed feet to help in the original purpose of this dog – swimming. The Portuguese water dog has a single layered coat that is thick and curly and can be brown, parti-colored, black, white, grey and silver fox. This low-shedding breed stands at between 17 to 22 inches tall and weighs in between 35 to 55 pounds. The Scottish terrier or the “Scottie” is a small dog with short legs and a longer wiry coat. The close coat of the Scotty feels hard to the touch and the skin is protected by a soft undercoat. 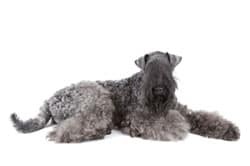 Scottish terriers can come in black, brindle or wheaten. The Scottie tends to grow to 10 or 11 inches tall and weighs in between 19 to 23 pounds. The soft coated wheaten terrier is known for its ragged or messy looking long coat. The wheaten’s long coat is a single layer coat that has waves and begins as a dark brown color but lightens to a wheaten color as the dog matures. There are two classifications for the coat of the soft coated wheaten terrier – American and Irish. Of the two coat types the Irish coat is thinned and softer than the American. The Yorkshire terrier is a small dog known for having small erect ears and a long and silky coat. The long coat of the Yorkie falls straight down and can come in tan or steel blue. Due to the length of the hair on the Yorkie’s head it is necessary to either trim it or tie it back to prevent the dog’s vision from being obstructed. The Yorkshire terrier generally grows to around 6 to 7 inches tall and weighs in at around 7 pounds. Deciding to bring a dog in to your home and your family is a big decision. 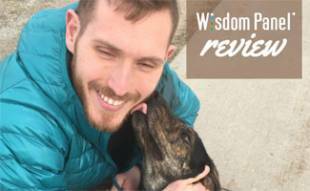 Like all pets, dogs require attention, medical care, healthy nutrition, toys and maintenance such as grooming and these things can really add up to a financial burden if you are not fully prepared. It is not only the cost of owning a dog that concerns some people however, but also the amount of shedding that comes with a particular dog breed. For some people picking a non shedding or low shedding dog is a matter of simply reducing the amount of dog hair in the house, for others it is a matter of reducing the likelihood of allergic reactions. When it comes to reducing the amount of dog hair in the home, homeowners should be aware that all dogs come with clean up requirements. Even if you choose a dog that does not shed, you will still be responsible for picking up after your dog when it goes to the bathroom and you will still experience paw prints on the floor and drool marks on the furniture. 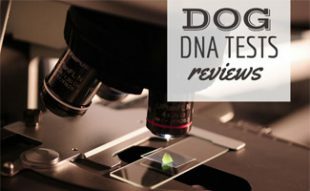 Now, if you are seeking a non-shedding or lightly shedding dog due to allergies rather than due to clean up requirements then doing your research is even more important. Before choosing the right dog for you, ensure that you read up on the breed and spend a lot of time around the dog breed before bringing it home to ensure that allergies are not going to be an issue. Returning a dog due to allergic reactions is extremely common and exceedingly heartbreaking. The Brussels griffon is a toy dog that is often likened to the Ewok in appearance due to its moustache that hangs from its short muzzle. The Brussels griffon can have a rough or a smooth coat that can be found in the following color varieties: red, red-brown and black, black and tan and completely black. This particular light shedder makes a good companion dog; however, they can be difficult to train and can easily develop small dog syndrome. The Brussels griffon grow to between seven and eight inches high and weigh anywhere from six to twelve pounds. The average life expectancy of this small dog is around twelve to fifteen years. 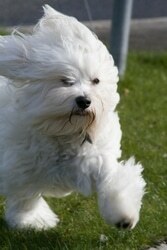 The Dandie Dinmont terrier is not one of the most well known dog breeds but they are light shedders. These dogs are recognized for being long dogs with deep muzzles and low hanging pendant shaped ears. The Dinmont’s coat is a combination of both soft and hard hair and can come in the following color varieties: dark blue black to light silver grey or reddish brown to pale fawn. These two color varieties are more commonly referred to as “pepper” or “mustard.” This lightly shedding breed is intelligent and is easily trained but they should never be trusted with smaller animals due to their terrier instincts. The Dandie Dinmont terrier grows to between eight and eleven inches tall and weighs between eighteen and twenty four pounds. The average life expectancy of this dog breed is around twelve to fifteen years. The havanese is a dog breed commonly recommended for those with allergies; however, it should be noted that this is a lightly shedding breed rather than a non-shedding breed. The havanese has a long coat that can be wavy, curly or corded and it also features long and silky hair on the eyes and tail. This small dog does have a double coat that can grow to as long as eight inches long. The havanese can come in a number of color varieties including: gold, cream, white, chocolate, silver, blue, black, parti-color and tricolor. This dog is very intelligent and easy to train but can be hard headed at times. This breed can grow to between eight and eleven inches tall and can weigh in between seven and thirteen pounds. The average life expectancy of this dog breed is around fourteen to fifteen years. The Italian greyhound is a more delicate light shedding dog breed and should be handled with care, meaning they are most likely not the best playmates for households with young children. This small breed has particularly fine bones with long slender legs and thing bodies. The head of the Italian greyhound is long and thin and the ears fold in to the side of the head. These sight hounds are short haired dogs that come in a variety of colors including: grey, red, slate grey, fawn, black, blue, cream, white, black and a variety of these colors combined. Italian greyhounds are intelligent and kind dogs but they can be highly strung. The Italian greyhound can grow to twelve to fifteen inches tall and can weigh anywhere from six to ten pounds. There are two specified weight classes of this small dog – eight pounds and under and over eight pounds. The average life expectancy of this short haired breed is between twelve and fifteen years; however, they have been known to live much longer. The komondor is most commonly recognized for its unusual coat that appears to be corded or braided. These dogs, originally bred as Hungarian sheepdogs are a hardy breed and unlike many of the light shedding breeds they are not toy sized. The komondor is a large dog in all aspects and have a felted or corded coat that can reach as long as eleven inches long. Unlike many other dog breeds, the komondor is always white and will not vary in color; this is a purposeful design to aid the dog in camouflaging itself in a flock of sheep. Surprisingly to many people, the coat of the komondor puppy is not corded; rather, the cords are something that develop over time. Komondors are independent dogs and require a firm owner and early socialization in order to ensure that they grow up as well socialized family dogs. Due to their natural protective instinct it is crucial that these dogs receive socialization and obedience training in order to control their dominant instincts. The komondor can grow upwards of 25.5 inches tall and can weigh as much as one hundred and twenty five pounds. These massive dogs demand plenty of exercise and are rarely recommended for anything but farm or country living. The komondor has an average life span of ten to twelve years. The Manchester terrier is also known as the black and tan terrier. This lightly shedding breed can be categorized as a toy or standard breed based upon their size. This smooth haired terrier is a muscular dog that has v-shaped ears that fold over, while some people believe that this dog should have its ears cropped, this practice is illegal in many countries. The short thick coat of the Manchester terrier is only ever black and tan and has defined markings. This terrier is very intelligent and loyal but it requires plenty of exercise in order to avoid mischief. The toy Manchester terrier can grow to between ten and twelve inches tall and weigh between six to eight pounds (twelve pounds in the US and Canada.) The standard Manchester terrier can grow to between fifteen and sixteen inches tall and weigh an average of eighteen pounds. The Manchester terrier has an average life expectancy of around fifteen years. The west highland white terrier is a popular choice for many people looking for lightly shedding dog breeds. These small dogs have erect ears and a somewhat square shaped body. The coat of the “Westie” as they are called, is a double coat that has a soft but dense under coat and a straight rough outer coat. The Westie is always solid white in color. These small hardy dogs are friendly and easy to train but can often experience behavioral problems such as guarding behavior and problems with other animals. The west highland white grows to around nine to twelve inches tall and can weigh between thirteen and twenty two pounds. The average life span of the West Highland white terrier is around fifteen years. 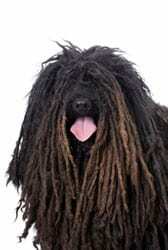 The puli is also known as the Hungarian water dog. This breed is commonly recognized for their dark corded coats. The puli grows to between 14 ½ to 17 ½ inches tall and weighs in at between 20 to 35 lbs. This hardy breed is not born with its characteristic corded coat; rather it develops when the dog is around 6 months old. The cords are formed by the rough outer coat binding to the soft and wooly undercoat. As the hair mats the owner should separate them gently in to thin sections, this should be done regularly. While these dogs do not require “grooming” in the traditional sense of the word, they must have their coats separated regularly. This unique breed can be black, brown, grey, apricot and white in color. The puli does not shed. This adaptable breed can do well in a variety of climates and a variety of living situations but they must receive regular exercise. Puli’s do exceptionally well with other canine companions in most circumstances. In order to grow in to a healthy and obedient dog the puli needs a leader who is strong minded but understanding of their gentle and sensitive nature. While not prone to any major health concerns, the puli should be screened for hip dysplasia and eye conditions. The average lifespan of this dog is 12 years or more. The Irish terrier is also known as the Irish red terrier and is a long and medium sized dog breed. This is believed to be one of the older terrier breeds that were developed to hunt and retrieve. This terrier has a thick and wiry coat that sits close to the dog’s body and can be wheaten, red wheaten, bright red or golden red in color. Underneath the wiry outer coat, the Irish terrier has a softer undercoat and a beaded muzzle. This is an energetic dog that is loyal and bold but also very intelligent and highly trainable. It is necessary for this light shedder to have a dominant human owner because it can be a very protective dog if not put in to its place in the pack. The height of the Irish terrier is around 18 inches and the dog weighs in between 25 to 27 lbs. This is a healthy and hardy dog breed that tends to live between 12 to 15 years. The Kerry blue terrier or the Irish blue terrier is a medium sized muscular dog breed that has a soft and wavy coat. The coat of the Kerry blue is quite dense and can come in any color between the range of black and dark blue or blue gray. These dogs can change coat color over time up until about 18 months old at which point the coat color will be defined clearly. This is a very animated dog that is quite attached to and affectionate with family members; however, they do not make good watchdogs. It takes quite a lot of pushing for a Kerry blue to take on an intruder. This dog can be protective over family members with other animals however, so they should be well socialized from an early age. Commonly used as working dogs, the Kerry blue requires a moderate level of exercise. The Kerry blue grows to between 17 ½ to 20 inches tall and can weigh between 33 and 40 lbs. Overall this is a healthy breed, but the Kerry blue can be susceptible to hip dysplasia and cerebellar abiotrophy. One average this dog tends to live between 12 and 15 years. The Lakeland terrier is a smaller terrier with a square appearance. The coat of the Lakeland terrier is a double coat with a soft close undercoat and a harsh wiry outer coat. This breed comes in a variety of colors including: black, liver, blue, wheaten and red. Saddle markings may also be seen on the Lakeland terrier. The Lakeland terrier grows up to 14 ½ inches tall and weighs between 15 and 17 lbs. This is a lively dog that does well with children but can be an obsessive barker and can be difficult to housebreak. This breed was used to hunt den animals and as such it can be prone to chasing other animals in the home. This chasing behavior should be discouraged when the dog is young in order to prevent it from developing or carrying on in the future. The Lakeland terrier does require plenty of exercise in order to avoid hyperactivity or boredom. This is a generally healthy breed that does not have any significant health conditions and lives to between 10 to 12 years. The Shih-Tzu is also known as the lion dog or the chrysanthemum dog. This small breed is popular as a low shedding breed while also having a silky long coat. This is a small but sturdy dog breed that has a long dense coat that comes in a wide variety of colors. Daily grooming is required with this breed to prevent knotting or dirt gathering in the coat. The average size for this breed is up to 11 inches and it can weigh anywhere from 9 to 16 lbs. The Shih-Tzu is a courageous dog that does well with people and other animals but it must be ruled with a firm hand and not spoiled. When treated as a person or spoiled too harshly the Shih-Tzu can become a snappy dog that may even bite. Unfortunately this little dog is prone to a number of health conditions including eye conditions, early tooth loss, wheezing, respiratory problems and obesity. In order to prevent obesity it is important not to overfeed as well as to provide a daily walk. The average lifespan of this breed is 15 years or more. The Spanish water dog is also known as the Perro de Agua Espanol, the Turco Andaluz and the Turkish dog. This medium sized dog has a strong build with a powerful body covered with a wooly type coat. If allowed to grow to longer lengths the coat of the Spanish water dog can become corded. Even Spanish water dog puppies are born with curly hair. Common colors for this breed’s coat include: black, chestnut, white, black and brown or white and brown or black and tan and hazelnut. This is a very intelligent dog breed that has a working drive which means that it requires plenty of exercise in order to be healthy physically and psychologically. When fully grown this breed can reach 16 to 20 inches tall and can weigh in between 30 to 49 lbs. The Spanish water dog is a confident dog that is devoted to its family which results in the dog being slow to accept strangers in to the home. This dog, while being slow to accept strangers, should never display shyness or aggression. These dogs require plenty of stimulation and as such they are often used as working dogs in bomb detection, narcotics detection and herding. The Spanish water dog requires a varied grooming schedule depending upon the type of work the dog will take part in. It is important to note however that this dogs coat should never be combed or brushed due to its corded nature. This is a relatively healthy low shedding breed with just a few health concerns that include: hip dysplasia, ear infections and genetic eye disorders. The average life span for this dog is 10 to 14 years. I am looking at getting a dog but I'm highly allergic. I have friends who have Labradoodle because they are hypoallergenic and I'm glad to know that you confirmed they are however I didn't know that means they still shed and that people are still allergic to them. I guess that goes with out saying though if you have a dog, they are bound to shed and that comes with the territory. Was curious if anyone else has a Labradoodle and if so if they have allergies and/or allergic reactions to them? Thanks! I grew up in the country. At one time we had 13 dogs. Some of them were there just because we had the room for them. Others were there as a security measure. I cannot imagine ever even thinking about whether or not a dog sheds. I think that the way people think of dogs today is not the way nature intended. We are inbreeding them into ridiculous genetic disorders. We're carrying them in purses. Now we're debating about how much they shed? To me that seems ridiculous, but then again I can see where a pet owner might let a dog go if they get frustrated enough with the shedding. That would be a horrible thing for a dog who has actually done nothing wrong. I just can't think of a dog like that. I think of dogs as protectors or family friends, not dolls to be dressed up and trimmed. No offense to anyone, because we each have our own quirks, but this just seems a bit extreme top my point of view.